Parrots are one of the most interesting animals of nature. Parrots are very smart and are relatively easy to train. It is crucial to give your pet bird food of adequate quality. 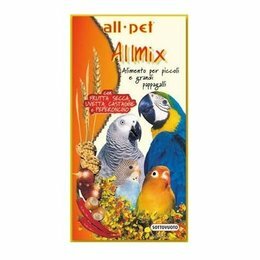 Any breed of parrot species has different nutritional needs and Allpet contributes to a wide variety of nutrition / supplementation. AllPet has everything you need for a optimal health.